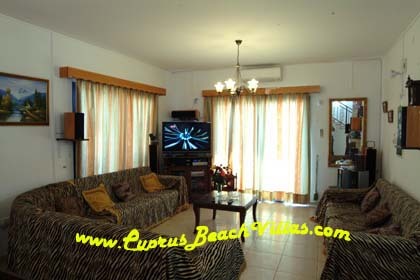 - There are 2 bedroom upstairs and 1 downstairs which has facilities for the disabled. 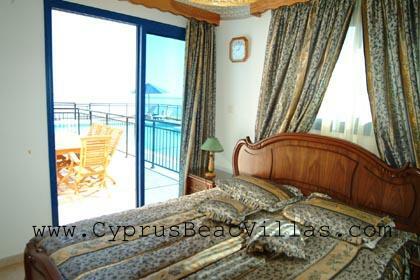 - Every bedroom have it's own balcony or veranda. 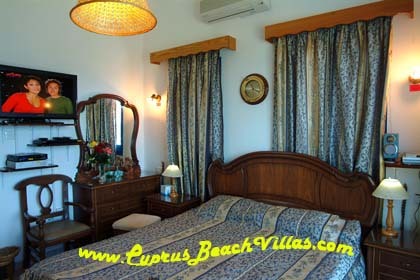 - Totally the villa has 2 king-size beds of 6', 2 double beds of 4'each and 4 sofa beds of 3'6'' each. 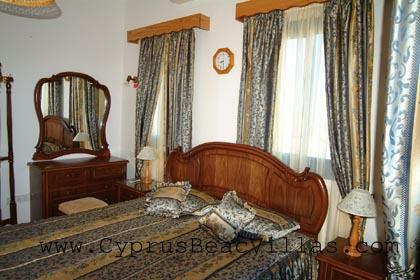 The bedroom downstairs has a king size bed of 6' (180cm) with all modern bedroom facilities. A comfortable chair and coffee table is also available in the room. 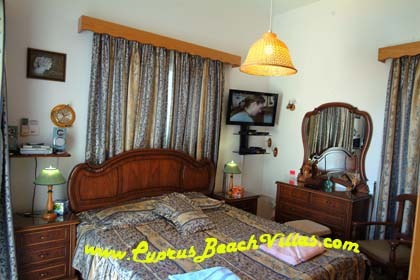 The one of the bedroom upstairs with sea view has also a king size bed of 6'(180cm) with all modern bedroom facilities. The other bedroom upstairs with view to the sea & mountain has 2 beds of 4' each (120cm, almost double) and all the necessary bedroom facilities.